The Barton Creek Farmers Market is proud to present original music every Saturday, powered by the sun! This Saturday, February 9, Jimmy Joe Natoli will be kicking off the music with his improvised instrumentals. Kids music hour happens from 10:10 to 11:11 with Mr. Bus Driver Man Sir and Her. There are always kid-sized chairs and percussion instruments. 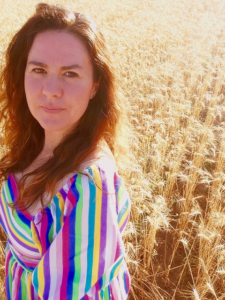 The 11:11 guest will be Mari Tirsa with her band “Runaway Horse.” https://runawayhorseband.com/epk/ She creates a unique folk/Americana sound that draws the listener into the forlorn and majestic ambiance of the American frontier. For the final hour, The Better Halves will play some fun original duets and story songs.